The severe winter of 1933-34, in which below-zero temperatures lasted for weeks, added great misery to the lives of the homeless during the Great Depression. 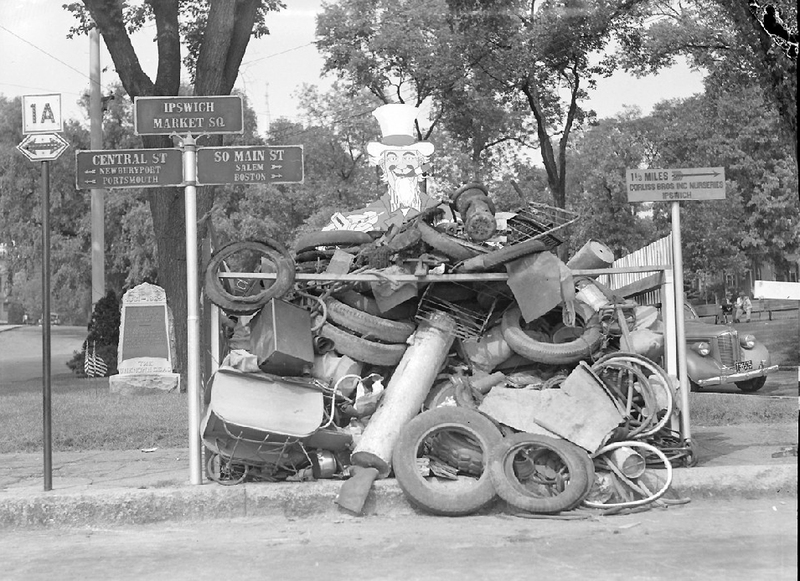 As part of the New Deal, President Roosevelt signed a forced draft work relief program known as the Civil Works Administration, putting millions to work on secondary roads, schoolhouses, parks, and other projects. 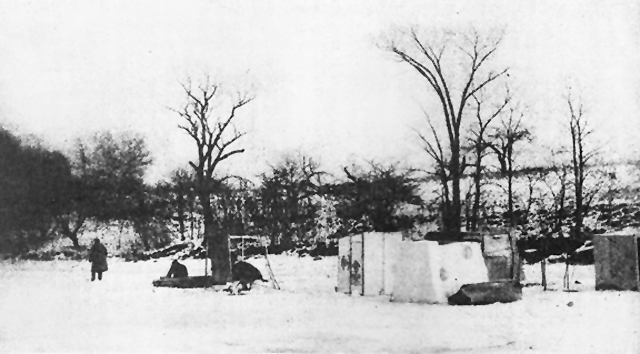 Thousands of desperate families made it through the frigid weather by earning wages through the CWA, but many people remained homeless, and some are said to have lived in their fishing huts on the river near town wharf where they drilled holes in the ice and fished for smelts. The labor movement objected to the inscription of civilian labor, and in March 1934, Congress passed the Civilian Conservation bill, creating the Works Progress Administration and the Civil Conservation Corps. It was through this program that the old jail on Green Street was demolished, and the short-lived Green Street dam and Little Neck Road were built. The CCC provided unskilled manual labor jobs conserving and developing natural resources in rural lands owned by federal, state and local governments. In nine years, 3 million young men participated in the CCC, which provided them with shelter, clothing, and food, plus a wage of $30 a month, of which $25 had to be sent home to their families. Nationwide, CCC enrollees planted nearly 3 billion trees, constructed more than 800 parks and built a network of public roadways in remote areas. 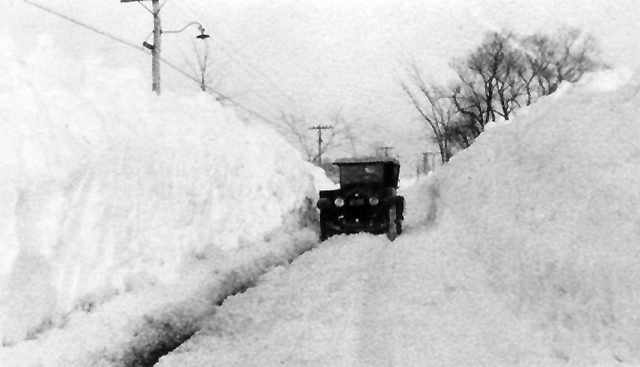 Argilla Road, winter of 1932. 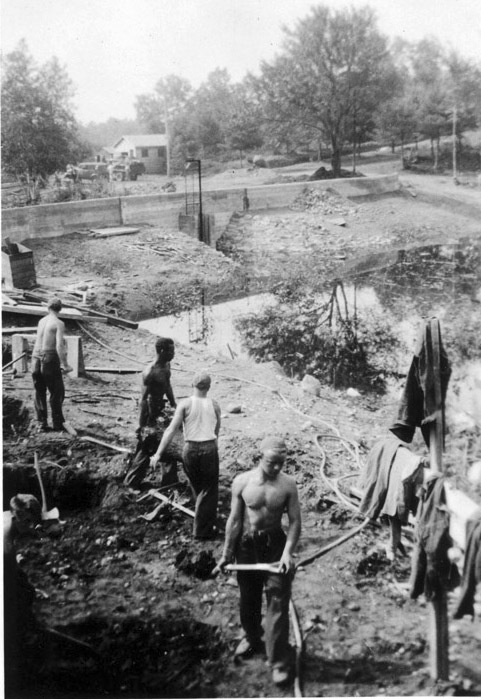 Later in the decade, water pipes were laid and the road was paved by CCC crews employed through the Works Progress Administration. 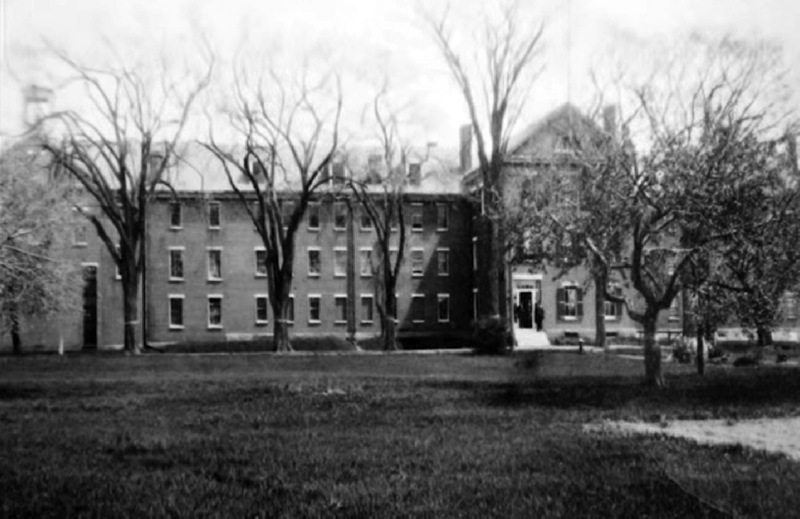 In Ipswich, the CCC surveyed the South and Old North Burying grounds in 1935, creating the comprehensive records on the Historical Commission site. Several miles of Ipswich roads were paved, and crews completed the installation of water mains in the town. A WPA Commodity Store (“Free Store”) operated on Elm Street. The large mural over the Ipswich Post Office was painted under a WPA program. The jail on Green Street was demolished by a CCC crew, making room for a new high school, which is now the Ipswich Town Hall. 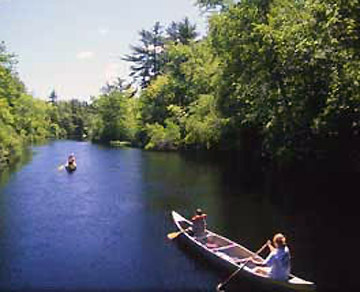 Projects in Ipswich were under the supervision of Selectman Brainard Wallace, who enjoyed popular support and won a battle of wills with other members of the Board of Selectmen in the program’s early years. World War II ended unemployment and redirected resources, bringing an end to the WPA. 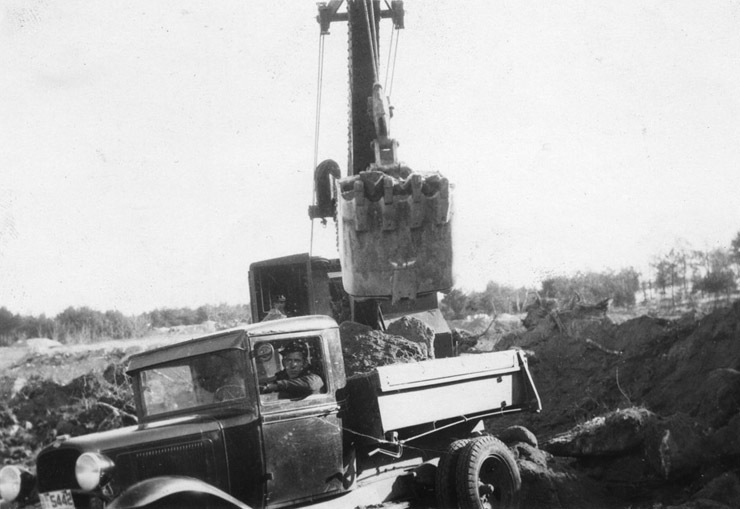 Roads were constructed in nearby Harold Parker State Forest by CCC workers. To the Citizens of Ipswich: Having been advised by Chairman (Brainard) Wallace that his Report would be of such a nature that we would not sign it, we are therefore making this separate report. It is no secret that the division of members on the Board of Selectmen this year has been over the troublesome issue of the administration of WPA. This finally resulted in the removal of the Chairman of the Board of Selectmen as Coordinator, and the appointment of Chester J. Patch, Jr., as supervisor. This move has resulted in a saving to the town of Ipswich of about $44.00 per week, and although the number of men on WPA has tripled, the cost of running this department has not increased as far as the town is concerned. We now have more than 100 on the payroll, and from present indications there should be no increase in the operating costs of WPA in the future, as far as supervision is concerned, even if 100 more were added to the several jobs. From our experience of four years it is a mistake to have a member of the Board of Selectmen to manage WPA for the following reasons: It gives him the chance of building a political organization by hiring of trucks, purchase of materials and tools, newspaper stories crediting him with the securing of funds for the different projects, recommendations for foremen, timekeepers, etc., all of which is not consistent with efficient town government. The Works Progress Act project of graveling Avery Street, Mitchell Road, and Water Street improved them a great deal. Asphalt and tar were applied to save the gravel and to improve the riding conditions. Nabby’s Point Road was graded, drained, graveled, and oiled through a W. P. A. project. The W. P. A. Drainage Projects installed in 1938 have been a big improvement to the streets upon which they have been installed, the streets being Spring Street, East Street, Wainwright Street, Hovey Street, Highland Avenue, County Street, Green Street, Manning Street, and sections of Central, High, and Mineral Streets. During this year as in past years the Sponsor’s W. P. A. Agent has made an effort to provide work for as many as possible with the aid of Federal Funds on W. P. A. Projects. These efforts have resulted in providing employment for many people who would otherwise be on Soldier’s Relief or Welfare rolls, and have been the means of providing them with worthwhile employment. The extension of the water mains on Linebrook road has proceeded under the direction of the W. P. A. authorities. At the end of the year the extension had reached the Newburyport Turnpike and enabled those people from the Turnpike back to a point just above Kimball avenue to have the facilities of the water supply both for domestic uses and for fire hydrant purposes. This was especially valuable at the time for the reason that we had been through a very long drought and most of the wells in that area were dry. Under a W. P. A. project there were planted about 1425 bushels of seed from April 12 to July 14. The same W. P. A. project has worked on the extermination of green crabs, which are a real menace to any constructive clam program. From April 12 through October 25, about 2550 bushels of green crabs were caught and destroyed. 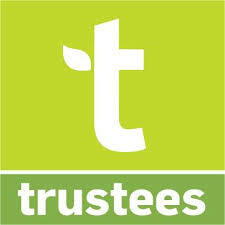 During the year a W. P. A. tree pruning project was in operation for a period of several months. Approximately thirty-five miles of our highways were covered by this project. Again this year, through the efforts of the Coordinator, Mr. Wallace, a W. P. A. Project was put into effect during the late fall and winter months. This project, as usual, consisted of painting the Gypsy egg clusters with creosote and cutting the webs of the browntail. It might be interesting to know that the amount of money put on the tax rate by the Welfare Department in 1939 was approximately 22 cents on every taxable dollar-based on an appropriation of $55,000.00. We wish to thank the Town Departments for their cooperation and courtesies extended, also, the W. P. A. Coordinator, Brainard C. Wallace, for his interest and endeavors to help keep our cost down. The Police Department has many calls from the Welfare, and always assists whenever it can. The Nursery School, operating under W. P. A. appropriation, has done much to improve the diet of some undernourished children. The only contribution of the School Department to the Nursery School and the Art Project is that of providing a room in which the projects may be carried on. The remainder of the necessary funds comes from the W. P. A. appropriations. 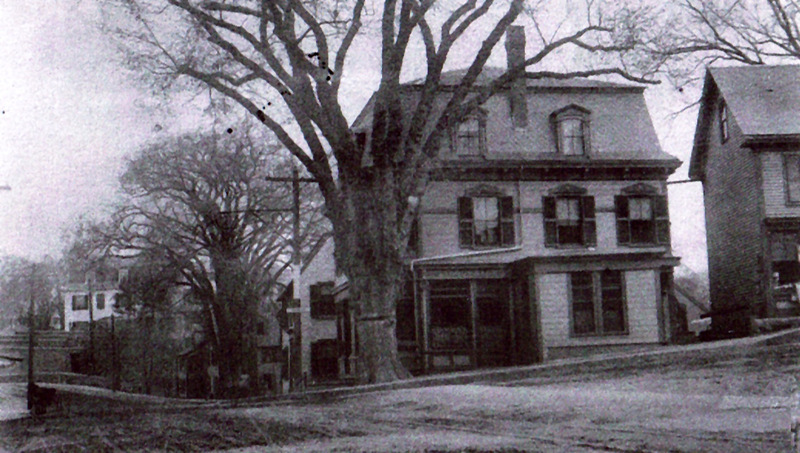 The Ipswich WPA “Free Store” was on Elm Street in the building on the right. 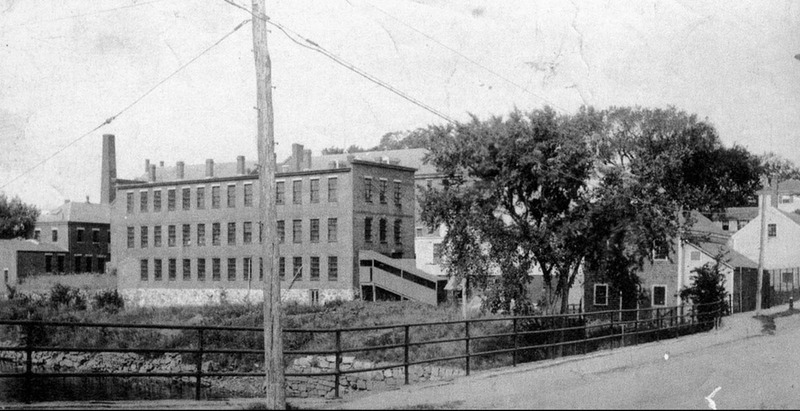 The building in the center of the photo was the Ipswich Savings Bank, and is now the site of Skillman Services. I can say with much pleasure that the green crab menace has been greatly reduced. Much credit for this must be given to the W. P. A. workers. The large number of egg-bearing crabs gathered by them last summer has practically eliminated that danger. The completion of the Argilla Road Water Extension prospect practically completes the water supply system in the Town of Ipswich and, together with other water supply extensions completed under Federal Works Projects, gives to the Water Department extensions valued at thousands of dollars that the town would never have been able to undertake without the assistance of Federal Funds. Due to a curtailment of the W. P. A. Program by the Federal Government, the Sewing Project, the Clam Reseeding Project and the Library Project, as well as the Nursery School Project, were closed the last of June. In accepting the appointment as Town Accountant, my resignation as Sponsor’s W. P. A. Agent will take effect upon the election of a new member of the Board of Selectmen. Respectfully submitted, BRAINARD C. WALLACE, W. P. A. Agent. Since 1940, the amount of money expended for General Relief has dropped from approximately $29,000.00 to slightly less than $9,000.00. With employment at its highest peak in history, with jobs available for everyone, even some who are physically handicapped, the need for public assistance has dwindled sharply. What the result will be, when the war industries boom is over, remains to be seen. It seems logical, however, that the change over from war to peace time production will inevitably result in some dislocation of industry, with unemployment again looming on the horizon. The W. P. A. commodity store closed on March 31, 1943. Your committee submits its third war-time report together with recommendations for the usual departmental budgets and the warrant for the annual Town Meeting. We are mindful of the increased Federal Tax burden being placed upon us and hesitate to recommend any expenditures during this war period that are not absolutely essential, feeling ample opportunity in the post-war era will provide a better time for such projects. This was a terrific roundup of Depression era WPA projects Gordon. I would just add that the WPA also funded the recording of some of Ipswich’s historic buildings through HABS the Historic American Buildings Survey. HABS records can include interior and exterior photos as well as architect produced measured drawings. Not all buildings were recorded in the same way. You can see what was included in Ipswich at the Library of Congress website http://www.loc.gov. I believe you g hen go to American Memory and search from there. Thanks, it had not occurred to me that those photos were a WPA project. I have photos for several houses in Ipswich that were provided by the historic american buildings survey, including the Heard House (Ipswich Museum) the Ipswich Tea House on South Main, the John Kimball house on High Street, and the Emerson-Howard house on Turkey Shore. There is also a set of photos for the Waldo-Caldwell house, but the owner informed me (and I have confirmed) that the photos are mislabeled. We don’t know which house it actually is. I hope someone can help solve the mystery. You can see them at http://www.loc.gov/pictures/search/?q=Photograph:%20ma0635&fi=number&op=PHRASE&va=exact&co%20=hh&st=gallery&sg%20=%20true. I agree with Gavin – the comments on the green crabs really hit home. I had never heard of them until a couple of years ago, and find the problem has been here a long time! Great report! Thank you Gordon for a tremendous interesting story with great photos. One point of interest was the 1940 report citing the “Green crab menace.” Some things haven’t changed a whole lot.